As this is the last podcast for the year I just wanted to quickly thank both Gavin and all of my other guests in 2018 who have opened up and shared their life end Executive Story with us all. Also I would like to give a little shout out to all of the listeners to all of my podcasts this year and cant wait to start all again next year. The importance of morals and integrity in the nitty gritty world of startups. getting your customer message bang on. Michael is the go to guy for infrastructure advisory work around rail, port, water and energy for bulk commodity producers. That’s the power of being super niche. As Director and part owner of Balance Advisory, Michael is grateful to see the recent doldrums of the resources sector behind him. But being super niche does mean though you are tied to the economic cycles of your industry which is why it’s wise of Michael and his co-owners to be now investing in early stage companies in a variety of sectors – diversification! Michael’s network is enviable and valuable, and is known for seeking to add value to his network more than seeing what he can take from it. Many listeners have probably benefited from Michael’s willingness to help and leverage his network without putting his hand out for anything. When you work in an industry where economic cycles and infrastructure contracts are long it pays to play the long game … Something we should all be thinking of. o The Wine Society and how it has transformed from a not-for profit to a corporate entity that is allowing wine producers from all over Australia to be competitive in the market and allow us, as consumers, to try some of the very best wines. Oh he, also runs the market place www.fromtheproducer.com through the Wine Society which he co-founded and built from the ground up. There is vibrancy and colour to this conversation that I just didn’t want to call short. Listen to this over a glass of good wine if you are lucky enough. Regardless, listen because it’s a good one! This week on Executive Stories we chat with Stuart Clout, the CEO of thedocyard, an online deal M&A management system. Stuart is a former lawyer turned tech entrepreneur who set about forming thedocyard when he couldn’t find a solution in the market place to run his M&A deals better. M&A deals tend to be weighed down by Word checklists buried in reams of emails resulting in all the deal stakeholders (buyer, seller, investor, lawyers, bankers, accountants and bankers) having little visibility of who is up to where in the deal. His transition from law into business means that he has personally experienced the different mindset required to run a SaaS company compared to a traditional law firm where he cut his teeth and formed his bad habits (I can say this as it takes one to know one!). Stuart has deferred the dream of sitting on the beach at Peregian and gone all in to turbo charge thedocyard by moving his family to Sydney (where we caught up). After all that’s the epicenter of where his target clients are. We chat about the problem, the tech solution, sales techniques and experimenting with different pricing models as Stuart finds thedocyard’s niche and fine tunes it into a future global company. Being an M&A lawyer myself I have taken up thedocyard to run my deals and can personally recommend it! Justin Fischer is the CEO and Founder of Brüllen Pty Ltd, a business that manufactures and exports soft service ice cream and frozen yogurt machines. You may recognize his name or his business from the Married at First Site TV show. Justin’s appearance on MAFS is certainly a talking point in our conversation but we also delve into how he started his first business, what life experiences lead him to where he is today and what drives him. Relationships are of course, an interesting topic for Justin, and he is extremely open with his separation with his de facto partner many moons ago and the effect that it had on his business. If you ever wondered whether the guy portrayed on a reality TV show is the same or any different in real life – then you will have to listen in and make up your own mind! We all know Dr Glen Richards as the founder of Greencross Vets, not to mention he is also one of the Sharks on the TV show “Shark Tank”. what life is like post Greencross. Thanks to Glen for giving up his time to come on the show and to Vmation for their fantastic filming as always. music and the arts – should STEM by STEAM? the controversial lockout laws and the effect they have on the music industry. The main theme from our conversation is why music is so important to society and the economy in general. Joel provides some great insights and interesting opinions (without opinions life would be boring!). I hope you enjoy. Susanne was my first guest to join me for an Executive Stories Live Stream. For those that missed the live stream you can watch it here http://www.executivestories.com/live-stream but I am guessing the reason you are reading is because you want to listen to the podcast version. Back to Susanne, founder of Families in Transition, a management consulting company focusing on family and privately owned businesses. Susanne has a passion for working with families and privately owned business who want to make positive change to improve the way their business is run. What I wanted to explore with Susanne was how she has brought her life’s experiences to truly and empathetically advise her clients in what is not only a business matter but a deeply personal one too. After all Susanne is from a family business so is well placed to tell us and her clients about the actual emotional and business pressure points of a family business. This personal overlay gives her a unique ability to advise her clients on creating more sustainable family businesses and how to focus on governance, leadership and all the other people aspects of a business. My chat with Susanne is a continuation of the Executive Stories mantra – real chats with executives and directors to find out what drives them and take a walk in their shoes. Enjoy! 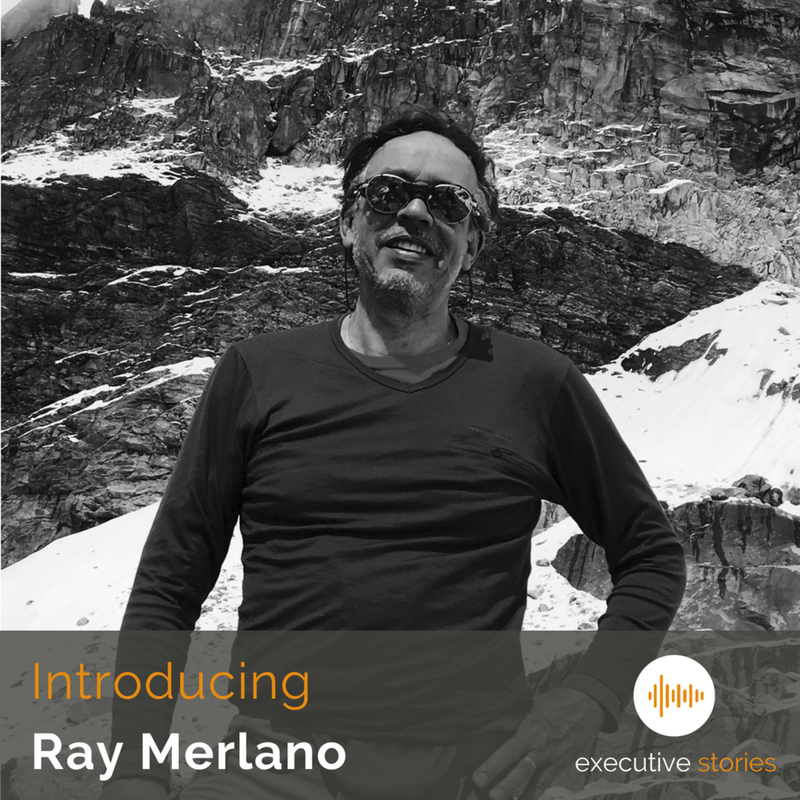 This episode of Executive Stories delves deep into conversation with Ray Merlano, the General Manager (QLD) of Data#3 Limited. Ray still has his American accent but after 35 years here feels as Australian as Vegemite. He started off in science and math and it is this background in STEM which says has helped in thrive in the role of an executive at Data#3. Ray is big into sport and you can tell that there is a competitive drive to him, which is why you will see this GM at startup events and keeping his finger on the pulse for new business opportunities. I thoroughly enjoyed chatting with Ray and I hope you enjoy it too! Importantly, views on family and working with the right people.